Orange County is one of the most popular suburban areas to reside in sunny Southern California. It is conveniently located between Los Angeles and San Diego, only about an hour away from both major cities. Residents can enjoy small beach towns, big city life, or a mountain escape all in one day if they want. If you’re moving in Orange County, you might be researching and learning about the area. This is an exciting phase in your move. Coming up with lists of all the places you want to go, finding new restaurants to try (especially the Mexican restaurants), and choosing the best Orange County city to live in. However, it can also be a stressful experience. But it doesn’t have to be an overwhelming process. If you’re searching for more information about moving in Orange County, look no further. Today, you’ll learn everything you need to know about moving in Orange County. This article was written to answer all your questions about moving in Orange County. Whether you want to understand what neighborhoods you should consider or what to do in the area, you can use this article to find the answer you need. If you don’t know where to start, we recommend you read the whole thing through and bookmark it to come back to throughout your move. 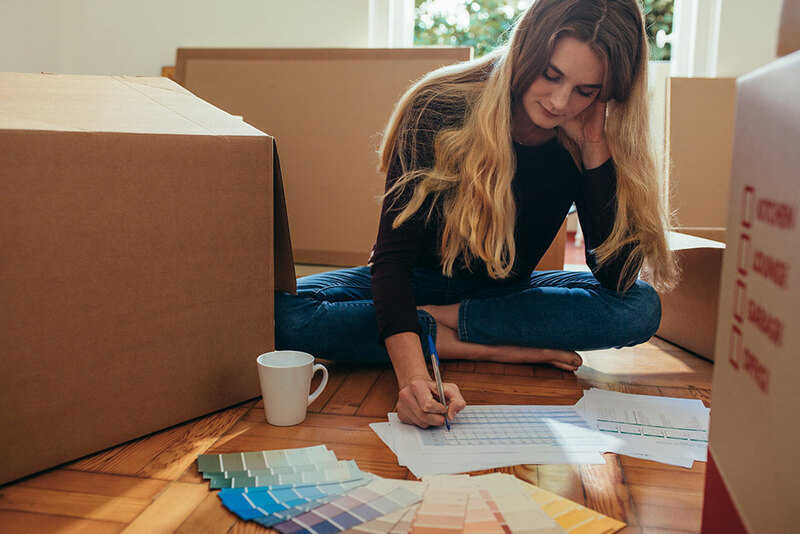 If you’ve already been researching your Orange County move, go ahead and click through to the section that will best answer your questions. By the way: Moving in Orange County? We offer comprehensive moving and storage services throughout major Orange County cities like San Clemente, Mission Viejo, Irvine, Newport Beach, and more. Contact our Orange County movers for a quote today and let us help you make your move easy! Orange County is one of the most beautiful places to live, with beaches, mountains, and urban areas at your fingertips. But choosing the city you want to live in can be hard because there are a lot of options with 30+ Orange County cities to consider. San Clemente is one of the best beach towns in Orange County. Not only are you right next to the ocean, but there are hiking and biking trails that go along the coastline. San Clemente has a small beach town feel that other Orange County cities lack. 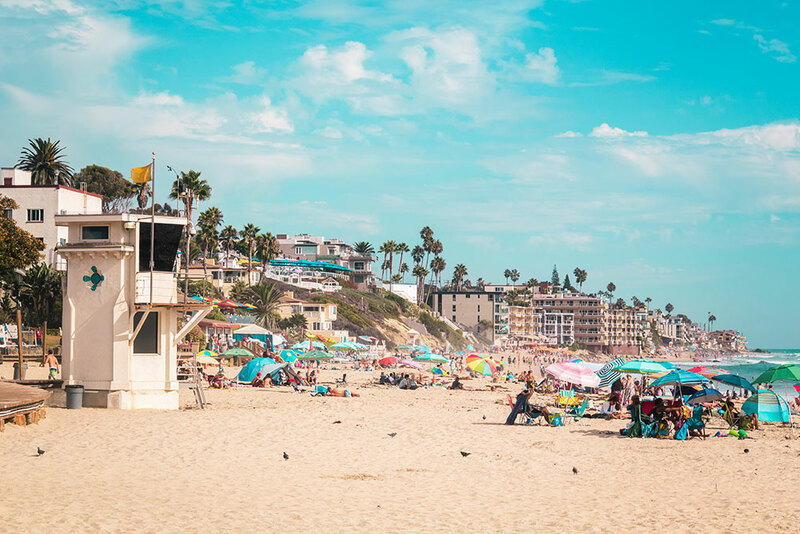 Plus, there’s plenty to do in the area, like visiting San Clemente State Beach, the San Clemente Pier, or Casa Romantica Cultural Center and Gardens. Laguna Beach is home to some of the most beautiful beaches in the area. Want to know the best part about it? The culture. Laguna Beach is an active city that has amazing art festivals, summer concerts, and theater shows. It’s a creative city with a vibrant music and art scene. Newport Beach is one of the most active beach towns in OC. It is home to the Newport Bay Nature Preserve, Crystal Cove State Park, Orange County Museum of Art, Balboa Pier, and more. From the best shopping centers, to fishing and surfing, the diverse range of activities available in this city make it particularly appealing for families. 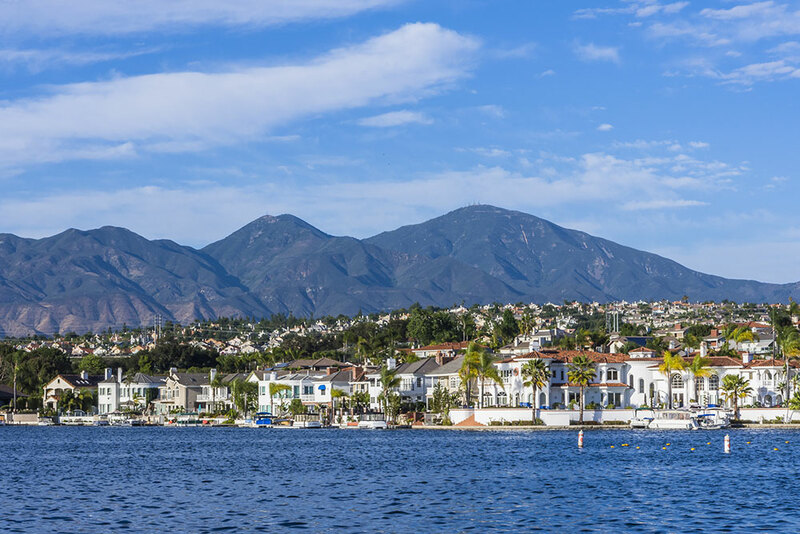 Located less than 30 minutes from some of the best beaches in Southern California, Mission Viejo feels more like a mountain town than a beach town. With rolling hills and a large lake right in the center, this is the perfect place to call home. Irvine is one of the largest Orange County cities. Even though it is in the middle of suburbia, it has an urban feeling because it is the business hub of OC. It is most known for its big, open spaces, having over 21 community parks. Plus, it has an unmatched diversity in the restaurant scene. Irvine is home to many types of cuisine including authentic Korean, Japanese, Chinese, Mexican, and Italian restaurants. Laguna Woods is a small community that is home to several active retirement communities. Residents in this city typically enjoy living a life of relaxation and leisure. It conveniently offers some of the most beautiful outdoor spaces in Orange County. Coto de Caza is a small, suburban community immersed in nature. It is known to be a quiet, upscale community with plenty of activities available such as equestrian and hiking trails. Due to the fact that Coto de Caza is a gated community, it is a great choice for families looking for a safe neighborhood. Once you’ve narrowed down your list of possible Orange County cities to the top 2 or 3 locations, it’s time to make a decision. There are several factors that you’ll want to keep in mind when you decide which neighborhood is right for you. Southern California is notoriously known for its traffic, especially in the LA area. With Orange County located only an hour away from LA, many residents commute to the city for work. Keep in mind how long your commute will be before you make any decisions. Orange County is home to some of the best schools in the country. Look up the school districts in the areas you’re considering and find out more about the schools your child would be zoned for. A lot of people move to OC to live near the beach. Luckily, no matter where you choose, this will naturally happen. However, you do need to decide if you want to live directly in a beach town, or just near one. If you’re looking for a small beach town vibe, San Clemente is your best bet. But if you want a more mountain style that is near the beach, Mission Viejo is the way to go. Look at the areas you’re considering and find out what’s close by. Are there beaches, shopping centers, and restaurants all nearby? Learn more about what there is to do in each city and choose the place that feels right for you. Finding the best Orange County city depends on the style of living that you want. From beach towns, to mountain-like cities, to urban places, there is a city for you. Once you have the house and moving day set, there is still a lot to do. 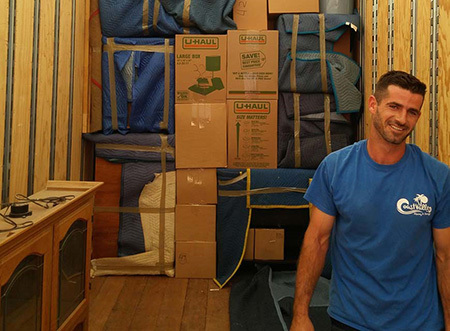 Below is our moving checklist of everything you need to do to prepare for your move. Schedule a Home Inspection – When you’re in escrow, make sure that you schedule a home inspection to ensure there is nothing wrong with the house you’ve chosen. This should be on the top of your moving to do list. Transfer Utilities – You’ll want to cancel or transfer utilities such as cable, electric, gas, and/or water before you move in. Forward your Mail – Typically, it’s recommended that you notify the USPS 4 weeks in advance. Research your New Community – While moving can be a hassle, don’t forget that it’s exciting too. Look into your new community and come up with a list of fun things you want to explore when you arrive. Find a New Doctor – It’s important to find a new doctor, vet, or dentist when you’re organizing your move. You’ll want to schedule your first visits for the month you arrive. Update Voter Registration – This is especially important if you’ve moved out of state. You can update this when you go to the DMV to change the address on your license. Change Address – Make sure you contact any and all places that need your new address such as the DMV, Social Security Administration, IRS, and banks/credit cards. Doing these all in one day is especially helpful so you don’t have the wrong address on any forms. Set up Trash Removal – You might need to set up trash removal for your new home depending on HOA. Be sure to get this done ASAP so you don’t have trash in your house for more than a week. Now you can finally relax! You’re all moved in, so it’s time to learn more about your city, try all the takeout places, find the best beach, and write down all the places you want to explore during the weekend. When you were looking for your new home, you might have had a list of things that you wanted to update and renovate. Maybe you wanted to remove a wall, get a new HVAC system, or build on to your home. 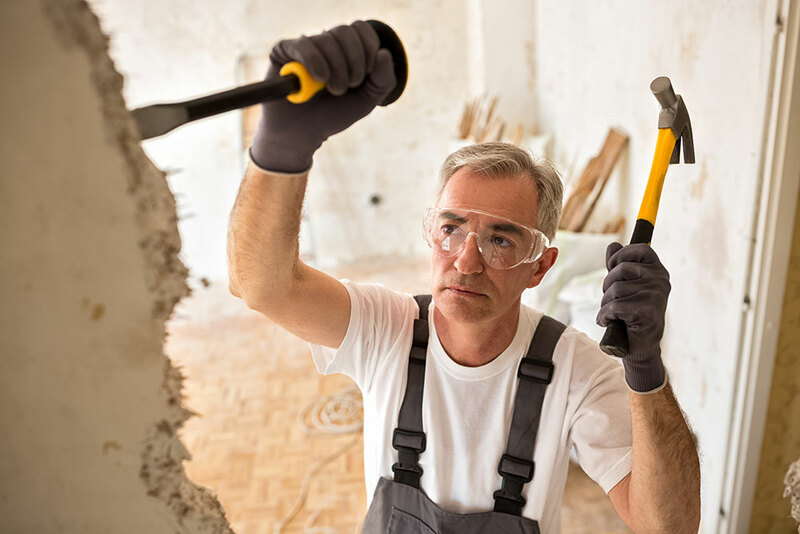 If so, there are a lot of building permits that you might need for various renovations. If you aren’t sure whether or not you need a building permit for the work you want to do, then contact your city’s office to ask. Remember that getting a permit takes time and money, so it’s important to plan before remodeling. Again, you can’t start work until you get the building permits, so plan ahead. If you’re moving in Orange County, there are tons of things to do in OC. From diverse restaurants to beaches, there are plenty of places to explore. If you’re moving in Orange County, you won’t ever be bored. All you need to do is decide what kind of activity you want and pick the option that sounds fun to you. We can help. Our family-owned business has been the #1 trusted choice in Southern California for over 45 years. Let us get started with your move. Give Coast Valley Moving & Storage a call or fill out our online contact form!